they mate for life, right? THese are soo lovely!! Beautiful! 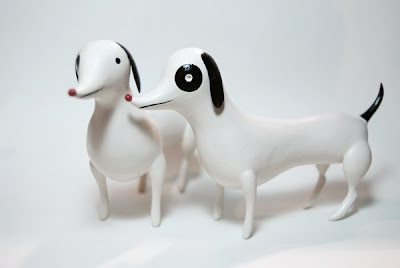 Hi Magda.........love your new work.......the dogs are too cute. Has your baby made friends with them? He could give them a run for their money.....oh.....but they can fly.....I almost forgot. Are you gearing up for Halloween..........the most fave of all days? haven't even thought about halloween yet.. it's only 208 days away! My mouth is watering for that swan!!! YUMMY!!! Love love love the swan. Is it for sale? 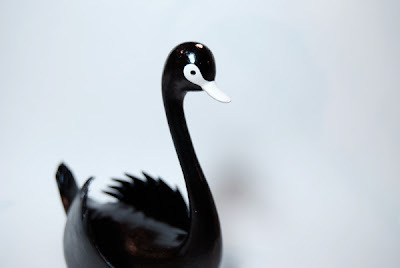 technically monsieur swan is for sale, but he needs a partner first.. i need to create her still.